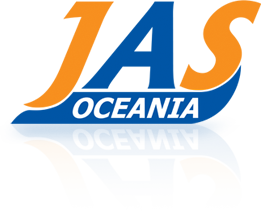 Jas Oceania was incorporated in August 2005. 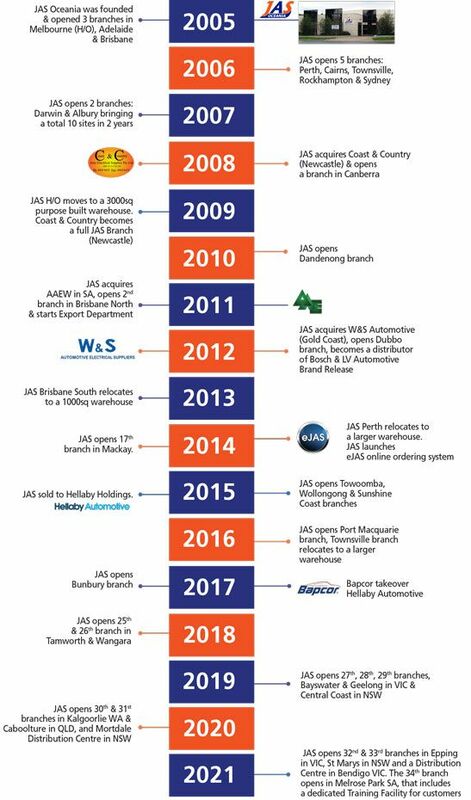 In our short history we have grown to become one of the largest suppliers of Automotive Electrical, Air-Conditioning and Lighting products in the Australian aftermarket. With 25 Branches nation wide employing over 170 staff. We service a wide range of customers including specialist automotive workshops, mining companies, contractors, government departments, and local councils. Our people have years of Industry experience and are locals who know the needs of their customers. With many being ex Auto Electricians you can rely on their expertise to get the correct part first time. We carry approximately 20,000 part numbers ranging from our industries most comprehensive range of Starter Motor, Alternators, Rotating electrical components, Air-Conditioning components and a huge range of Lighting and Electrical Accessories. Plus many more, to meet the needs of a diverse automotive electrical industry.